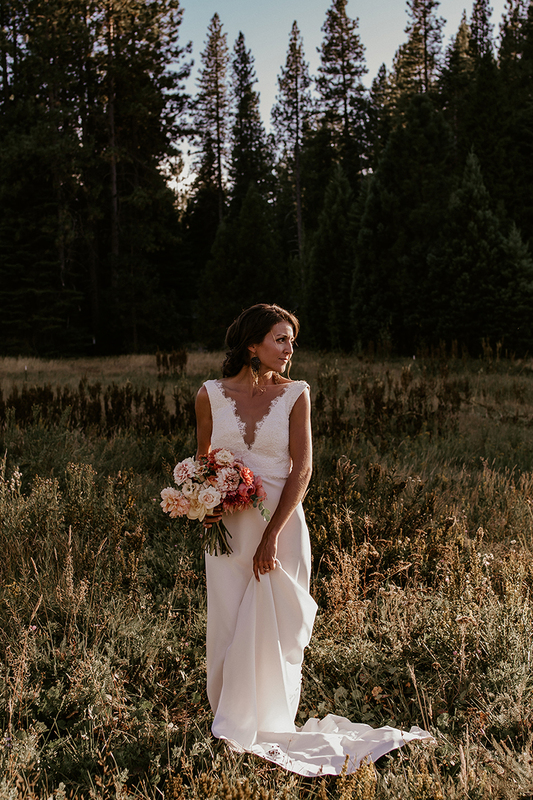 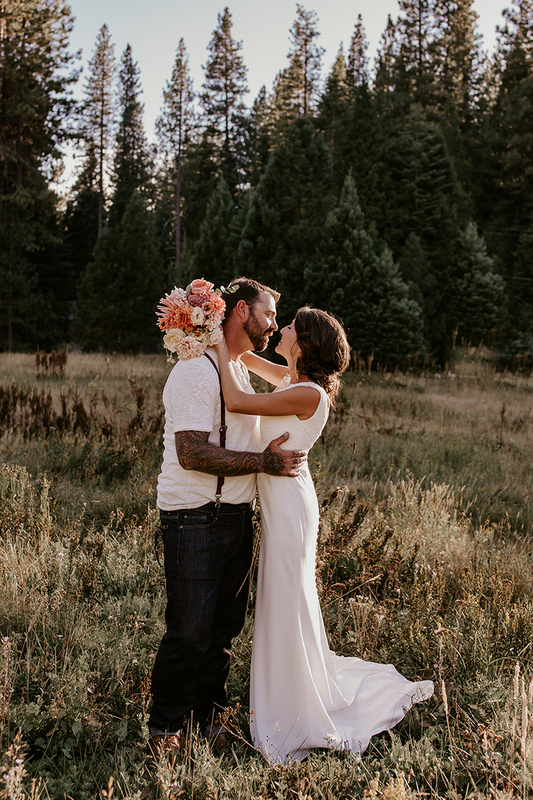 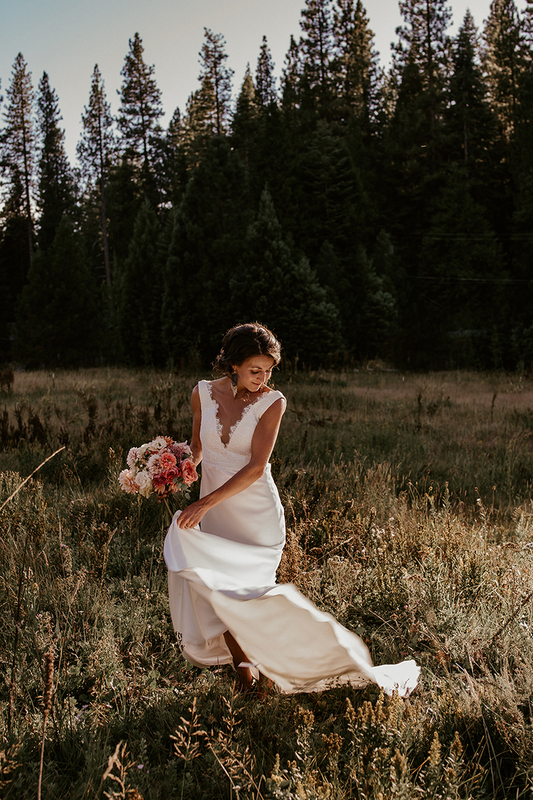 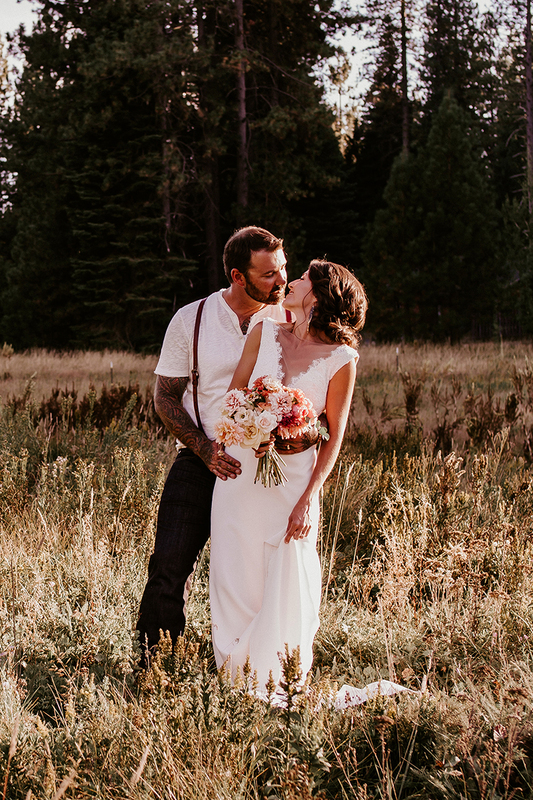 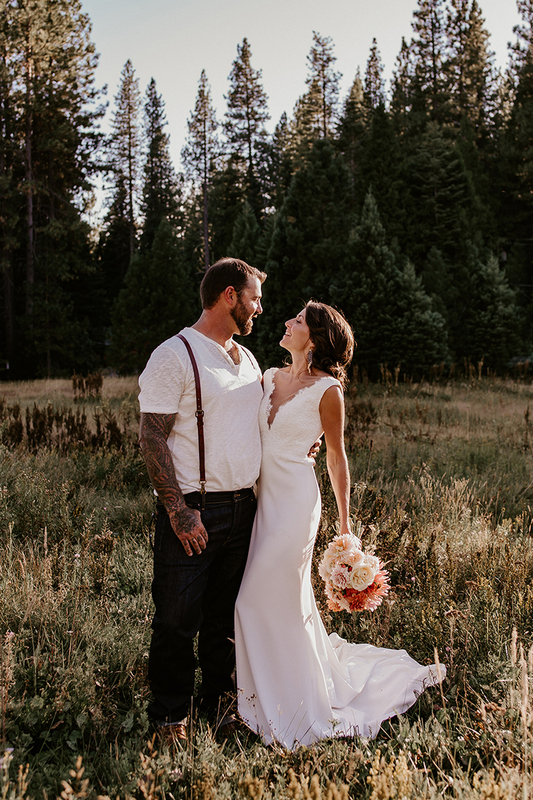 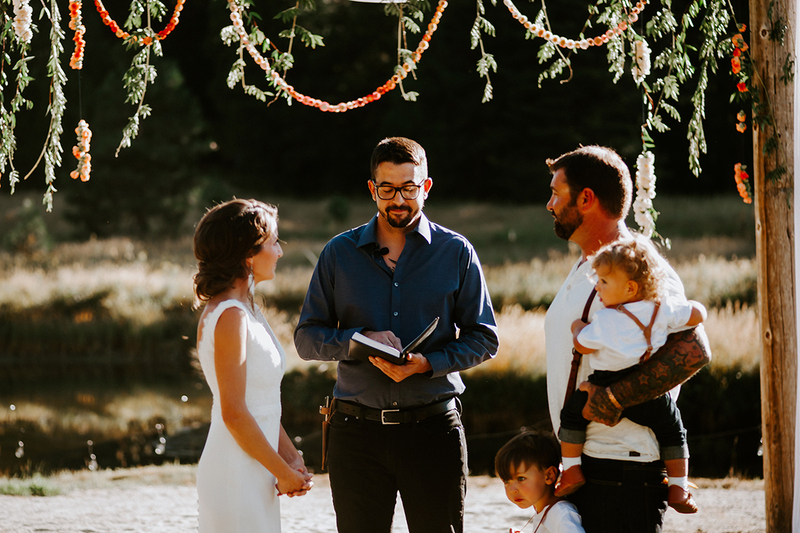 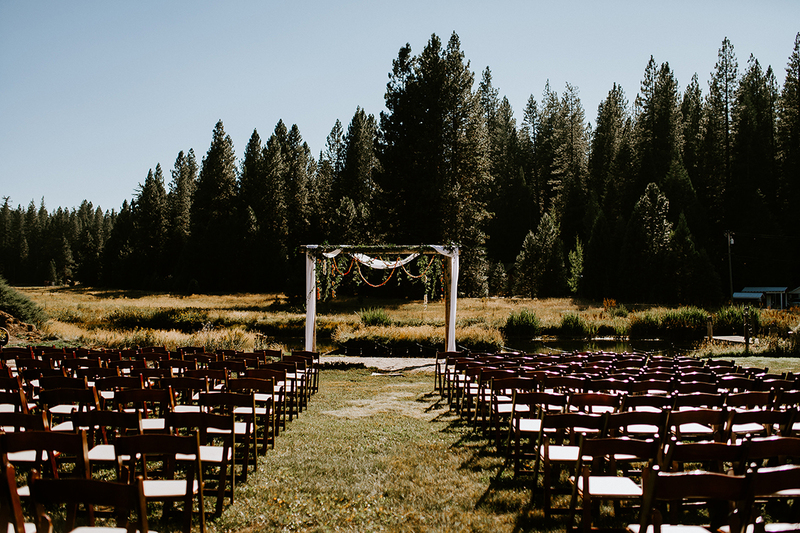 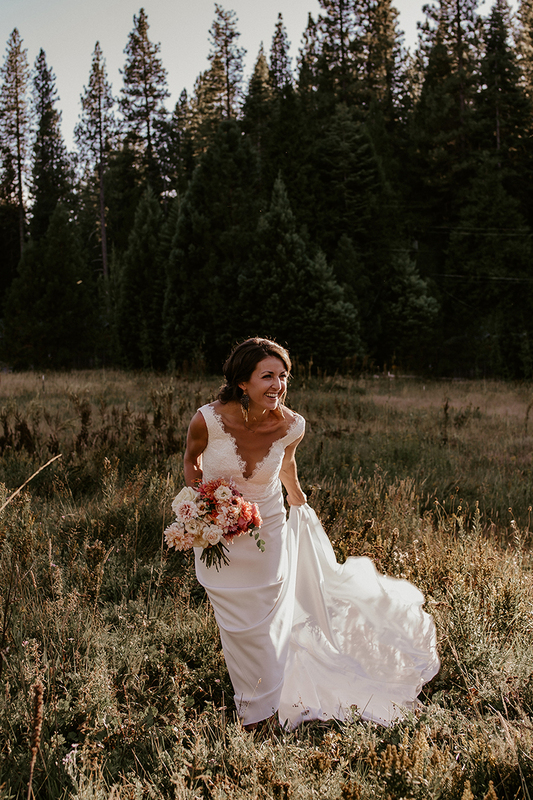 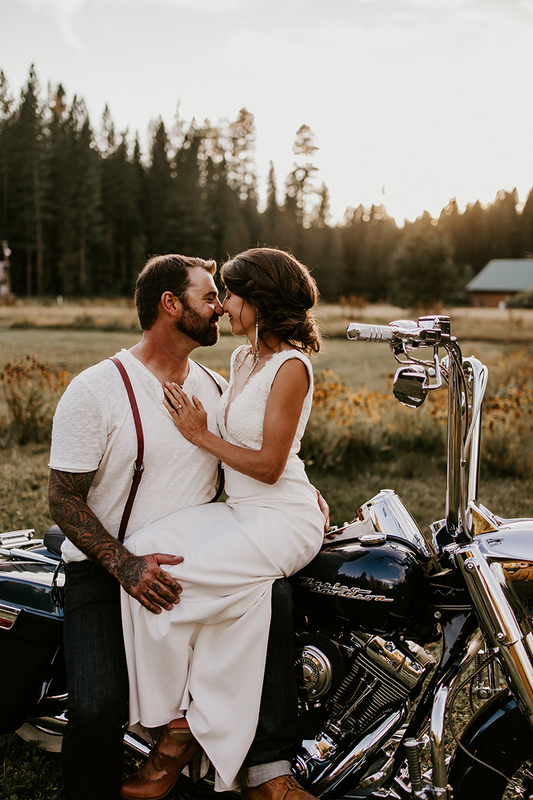 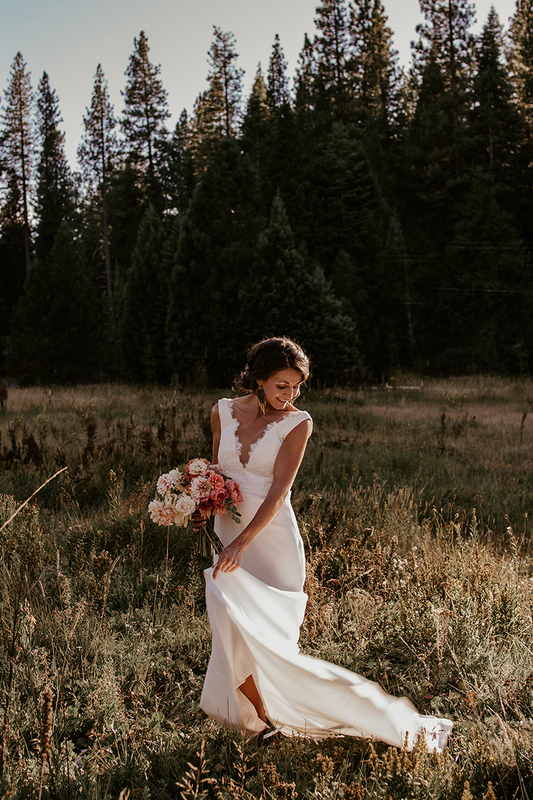 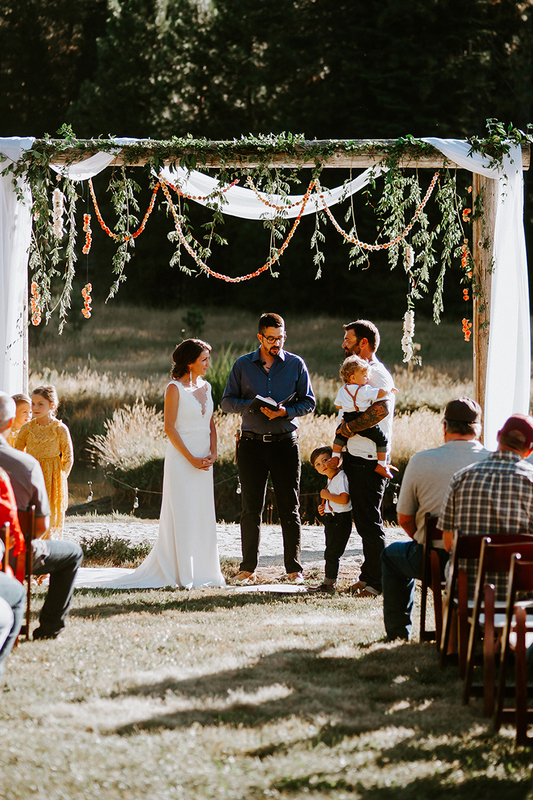 When we saw this stunning fall mountain meadow wedding, we were instantly head over heels! 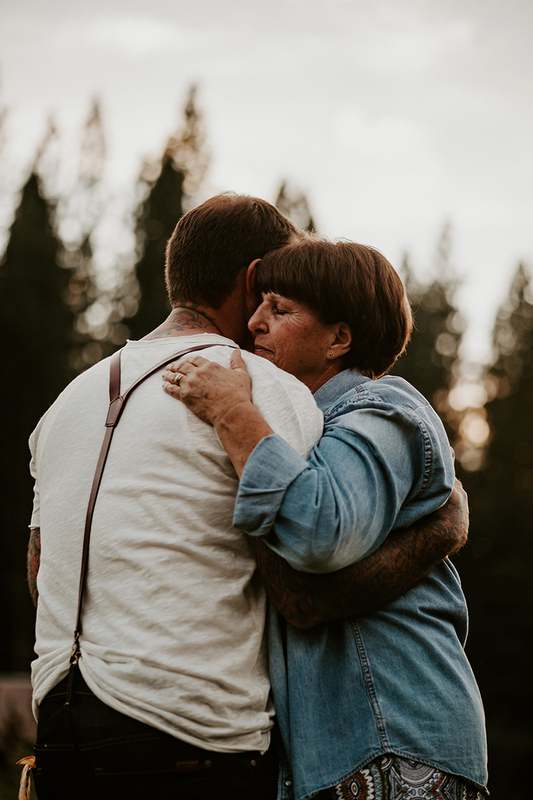 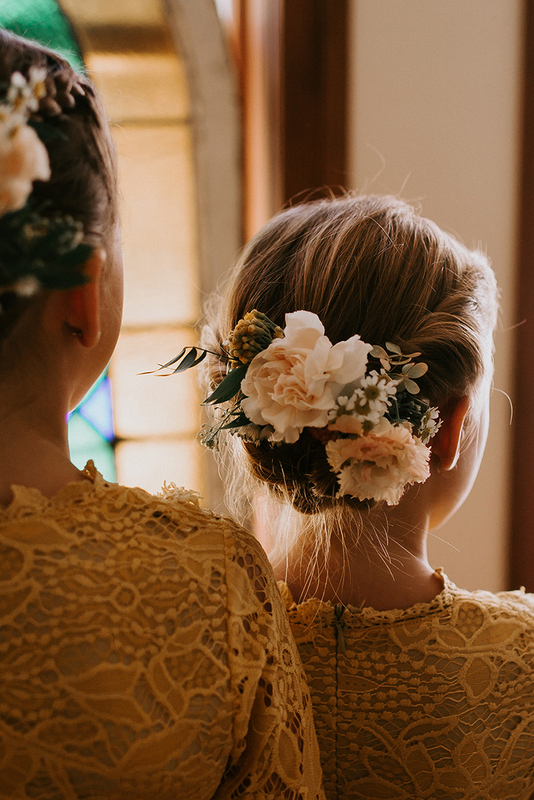 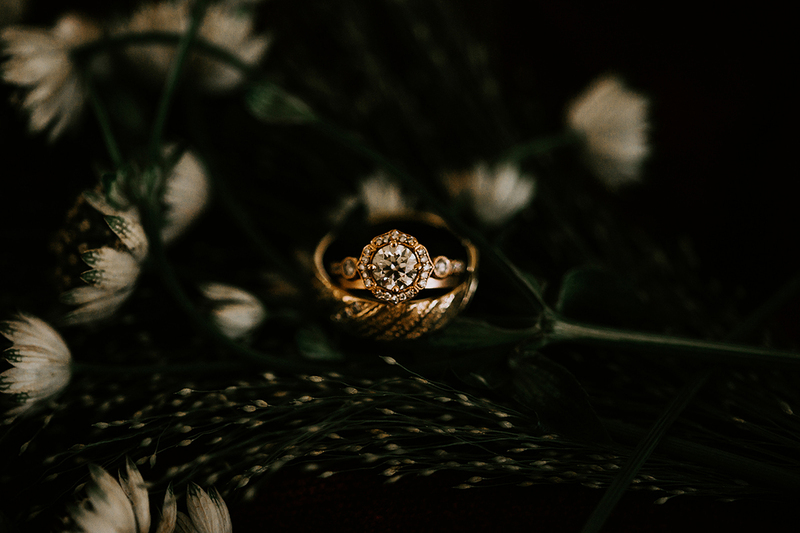 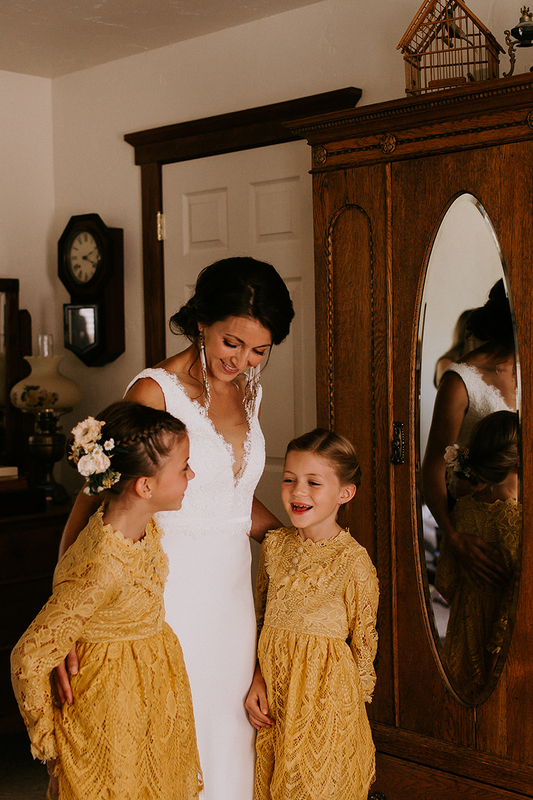 Captured perfectly by Candice Learned at Gold Dust Photography, this wedding day is equally as beautiful as it is touching. 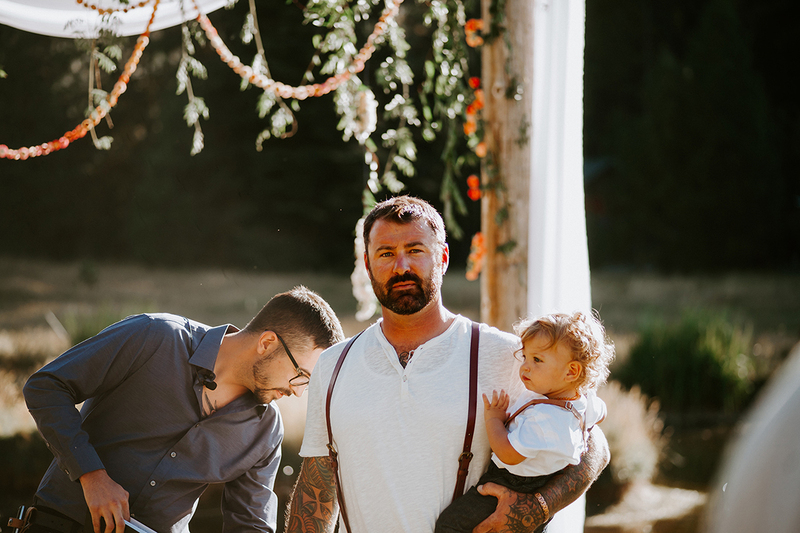 These two amazing partners-in-crime got married with their kids at the altar. 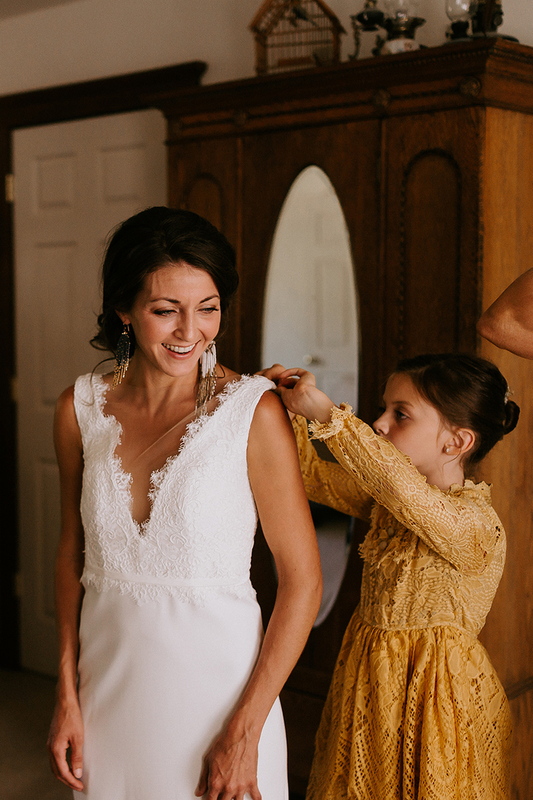 Talk about family first! 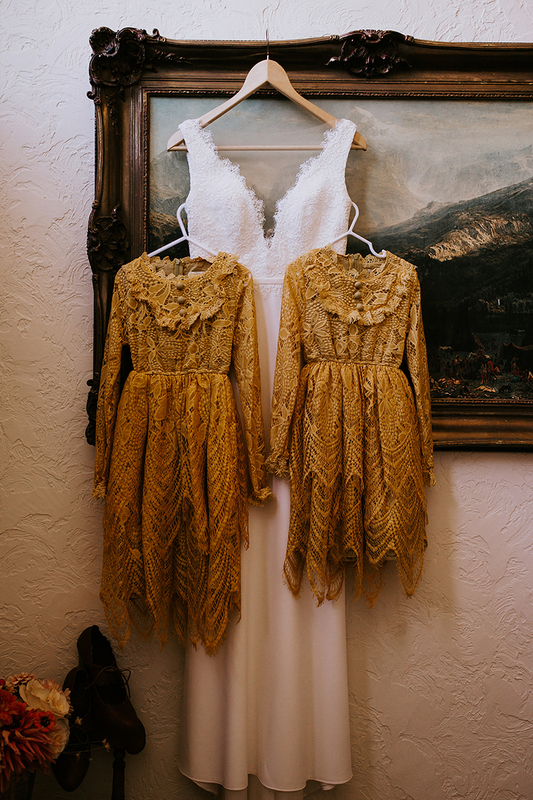 Also an honorable mention – this whole wedding was done DIY by the bride and her husband. 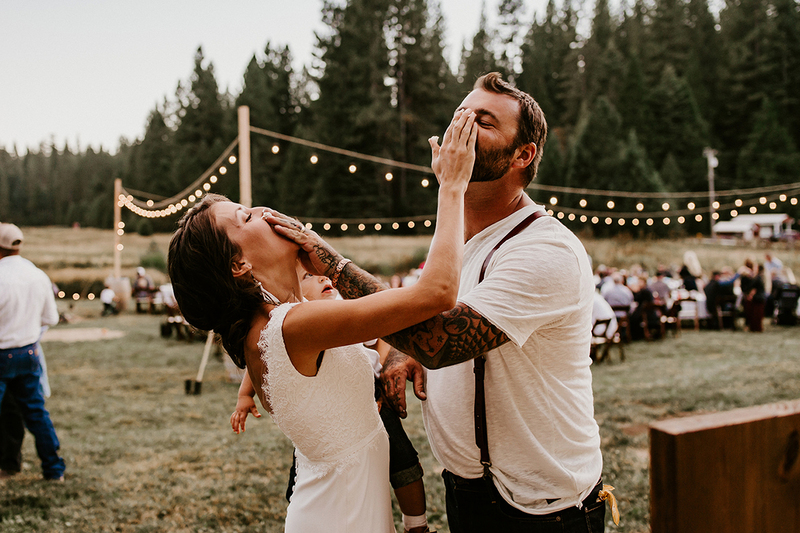 We’re definitely impressed. 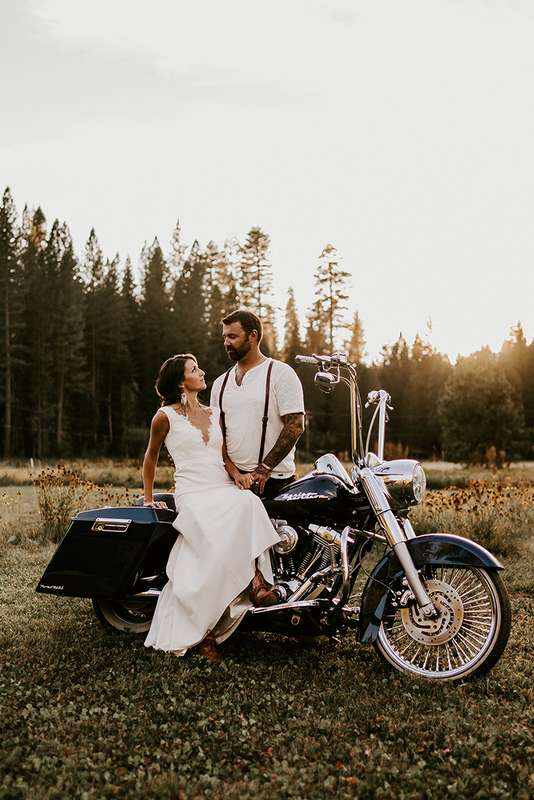 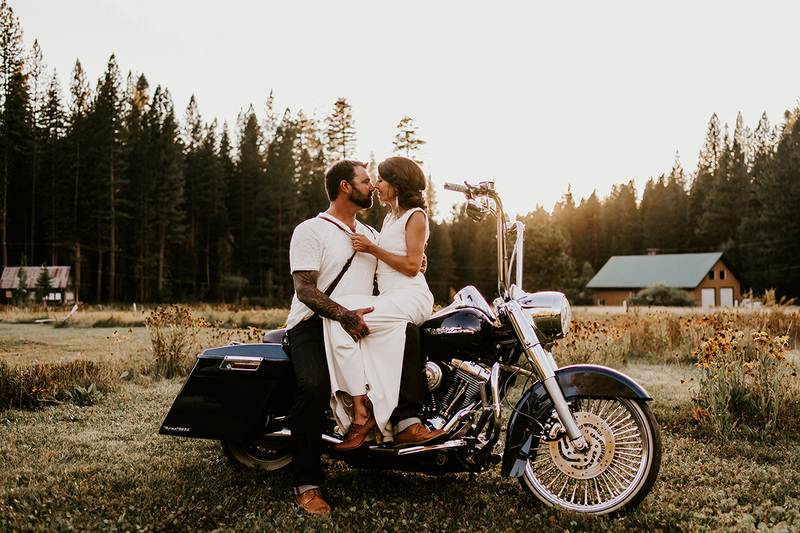 Hints of bohemian charm, vintage yellows and a heart-throb motorcycle add to the magic of this already-magical day. 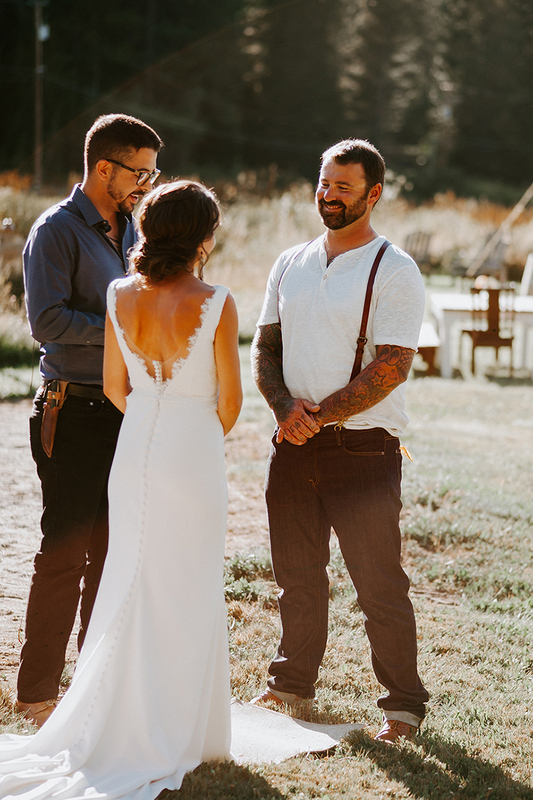 Who needs a tuxedo when your husband-to-be can just wear suspenders?! 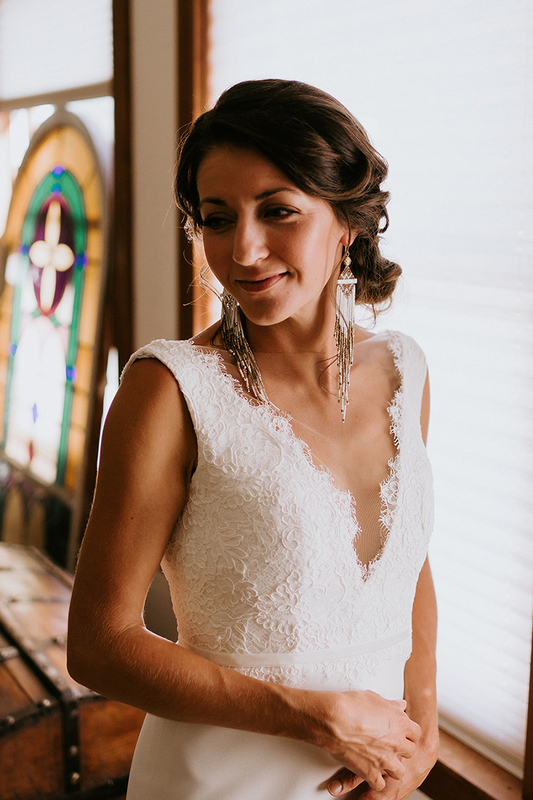 Taryn wore minimal and simple Style BL236 Indigo, the perfect wedding dress complement to this modern-classically styled wedding day! 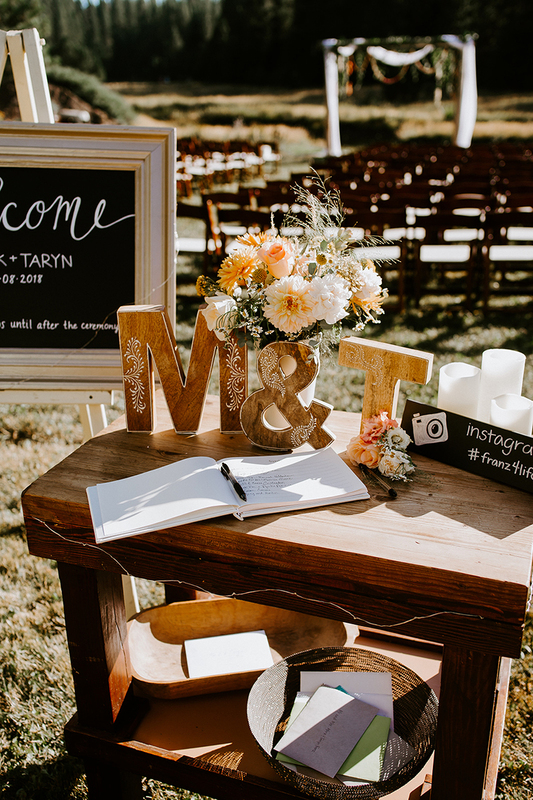 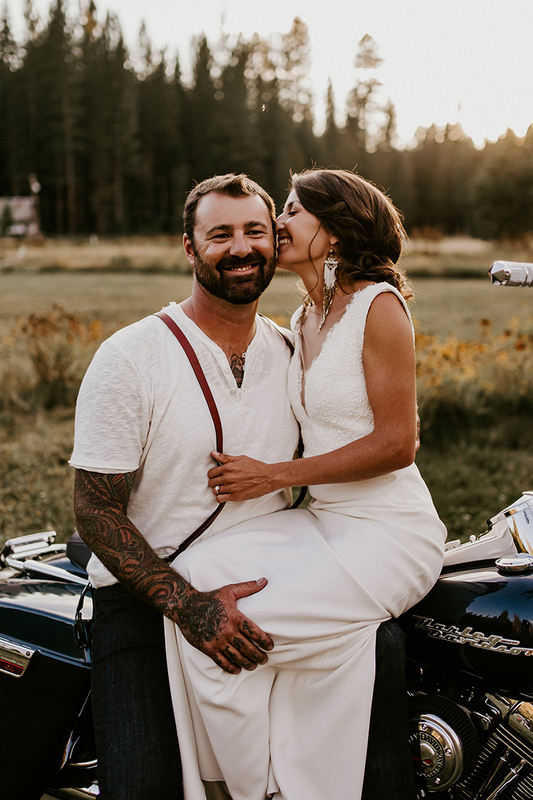 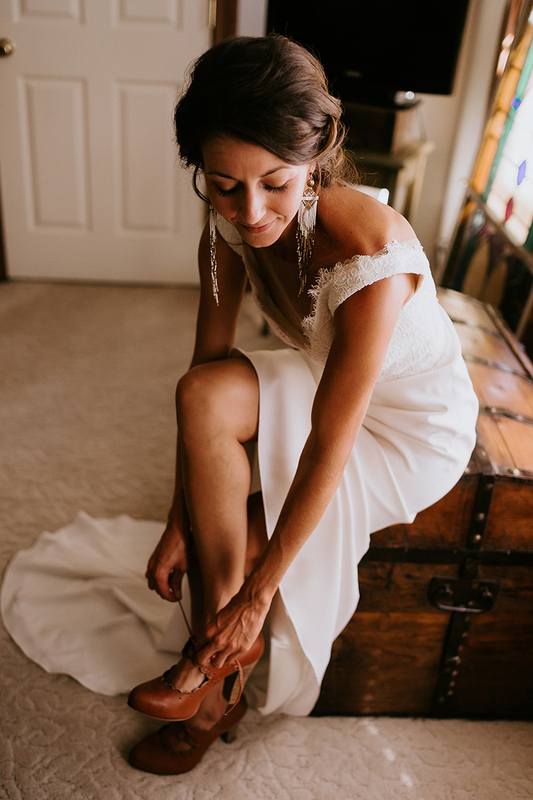 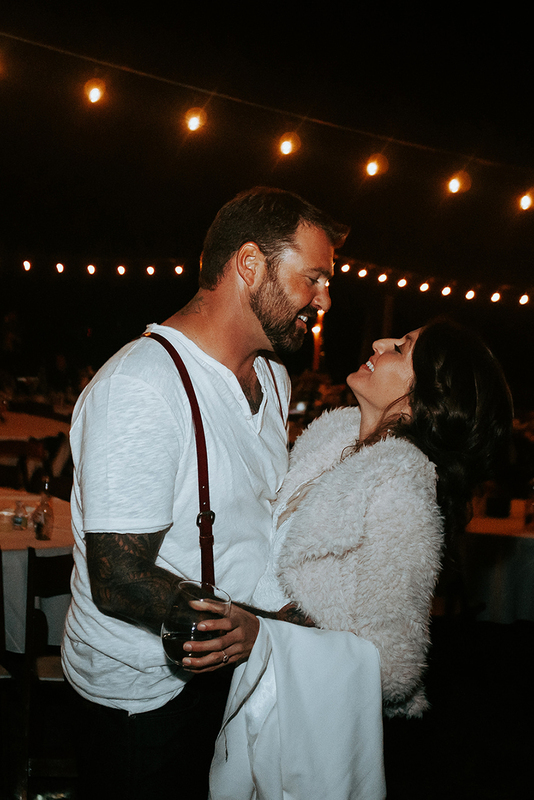 Keep reading to hear the story of how Taryn found her gown, and all about how she and her husband Mark crossed paths! 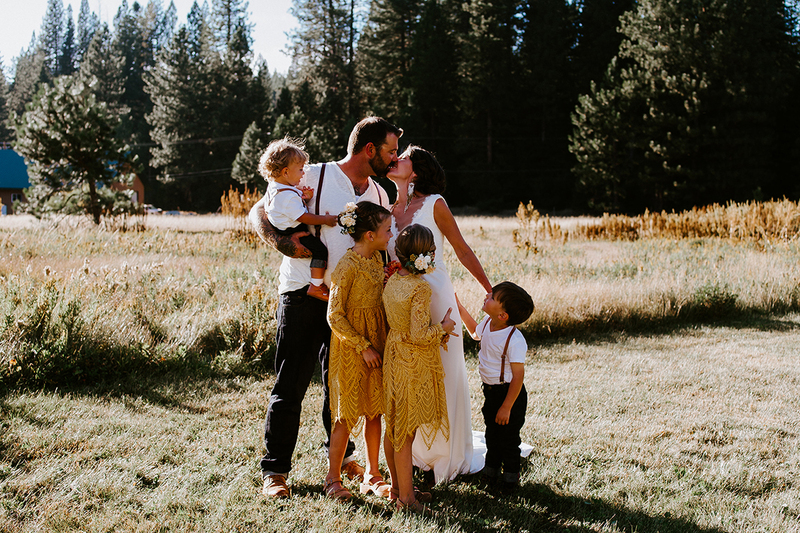 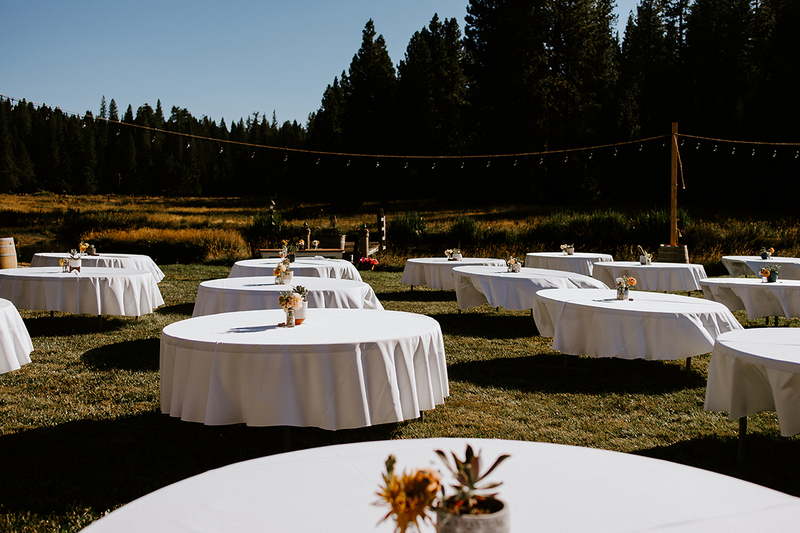 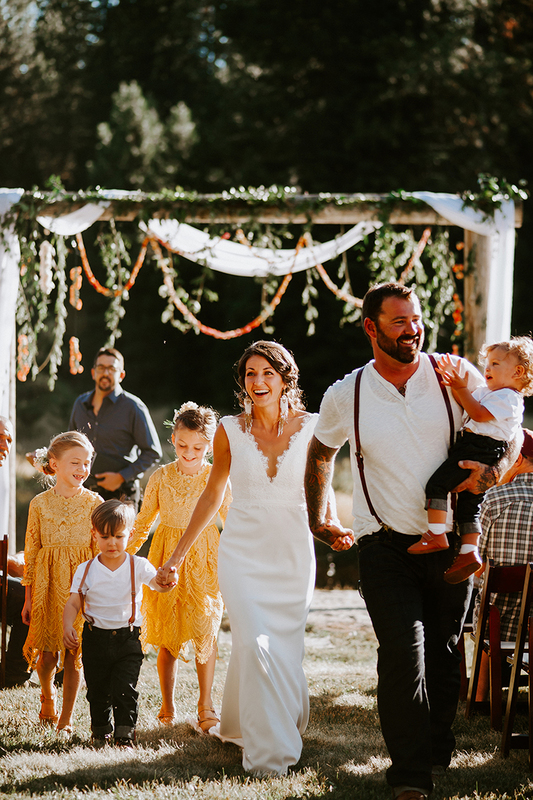 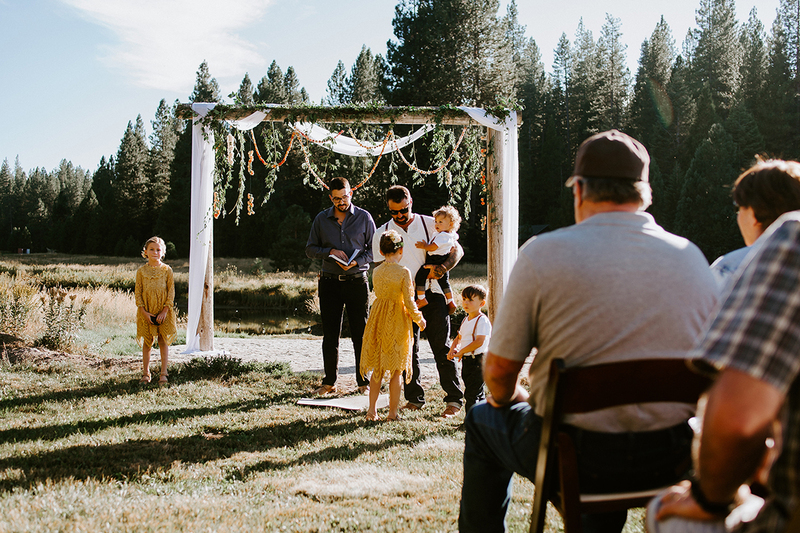 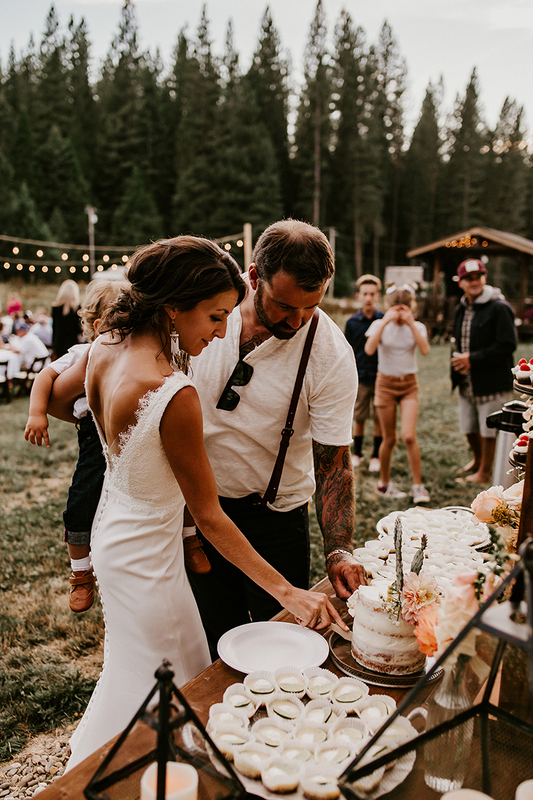 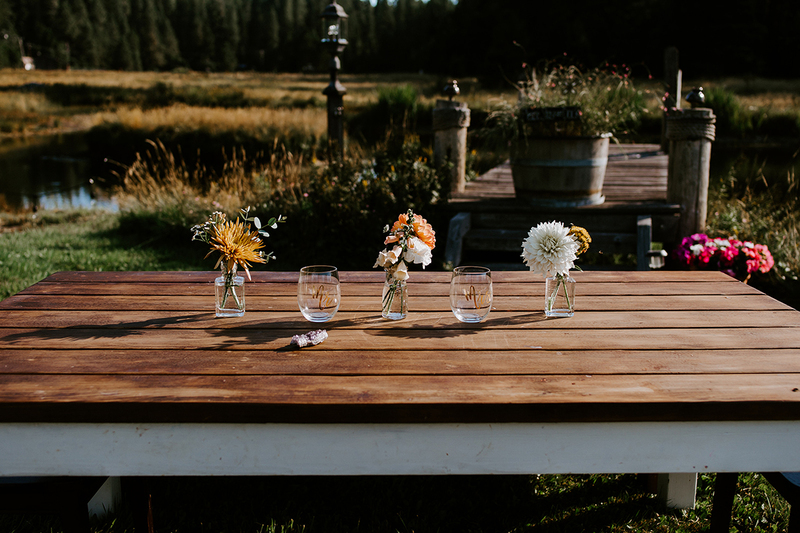 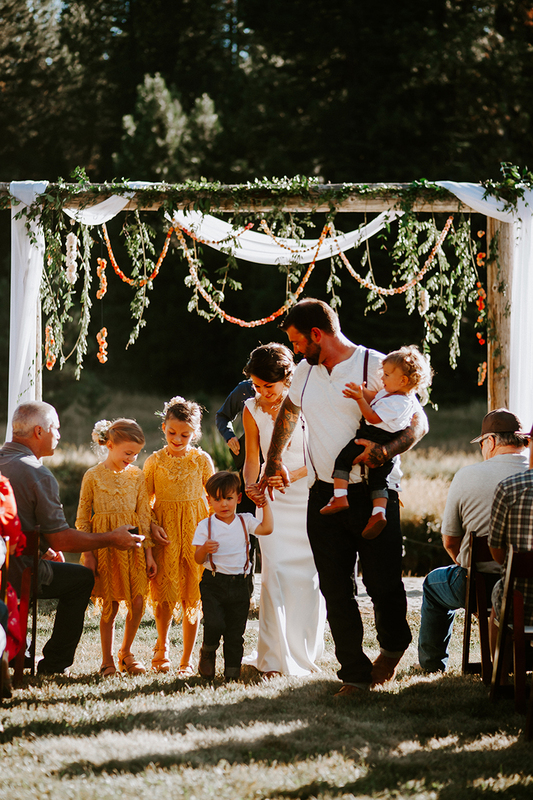 In love with this lovely DIY fall mountain meadow wedding? 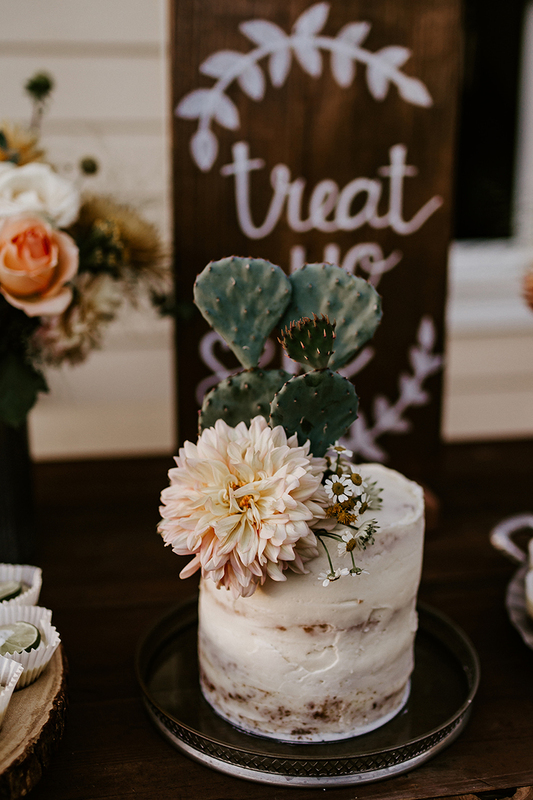 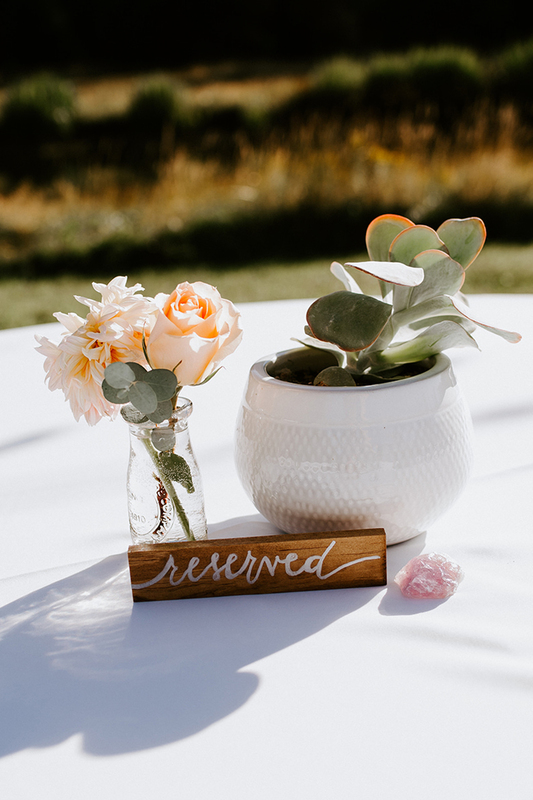 Head to our Pinterest for more DIY bohemian bridal inspiration!